Posted by Roy says.... on Tue November 25, 2014 in Fun day trips from Port Elizabeth. Dr John Philip head of the London Missionary Society in South Africa, started Hankey with the the purpose of the establishment of the village was to grow mielies and corn for the LMS main station at Bethelsdorp and also to carry out evangelistic work. 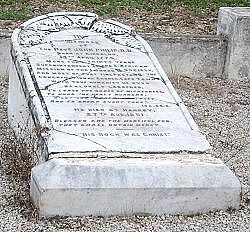 The graves are situated behind the old "Philip Manse" beside the railway line and maintained by the Congregational Church. William Philip, son of Dr John Philip head of the London Missionary Society in South Africa, studied surveying in Cape Town from 1834 to 1836. Later he trained as a missionary in Britain and in 1841 he returned to the mission station at Hankey. At the time Hankey was experiencing a serious water shortage, Philip therefore examined the site and discovered that he could lead water out of the Gamtoos River onto the settlement's farm-lands. This would, however, involve the construction of a tunnel through the cliff which, for those times, was a formidable undertaking. Philip and his Hottentot labourers started digging in 1843 and within little more than a year they had completed a tunnel of 228m long. 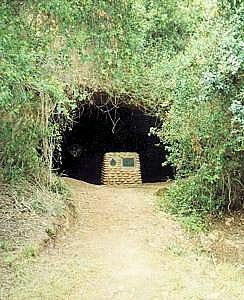 This tunnel has been declared a national monument and the commemoration plaque was unveiled on the same day as the opening of the Kouga Dam. The tunnel is no longer in use. Directions - 60 km from Port Elizabeth and ideal for a day trip incorporating St Francis Bay and Jeffreys Bay.